Sometimes, the hidden gems of the Vegas food scene are literally hidden. We’ve found the secret passages and removed the disguises of restaurants you need to try. Once you get off the elevators to the third floor, you’ll see Jaleo. And to the left, you’ll see a narrow hallway, decked out with records. Follow the hallway (and intoxicating pizza aroma) to the secret spot. And then celebrate with pizza and beer. 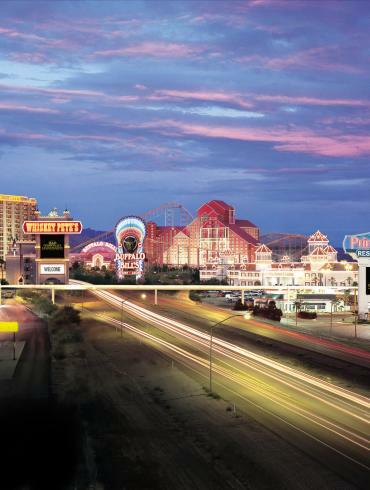 The gastropub is on the corner of Fremont Street and Las Vegas Boulevard. And, from the front, you wouldn’t expect to find a back patio covered in bright tables and chairs, and a seesaw made for adults that’s meant to ride before you dive into its amazing garbage nachos. Aside from the small sign, the dark speakeasy lounge is tricky to find and as frequent goers admit − even finding the door to get into the place the first time is a bit of a game. If you are into whisky and steak, and being away from the hustle and bustle of the city, this place is for you. Inside the Westin on Flamingo, Jake & Eli is perfect for a classic steak dinner before heading to the Strip. Located off Sahara Avenue and 6th Street, this unassuming restaurant blends classic ’60s diner food with traditional Chinese cuisine. Sound like a familiar spot? It’s been featured on Diners, Drive-Ins and Dives, where dishes like Pork Belly Bao, Short Rib Grilled Cheese, and the Peanut Butter Mousse were raved about. This quaint Thai restaurant came to Vegas in the ’80s, and prides itself on being a hidden gem with traditional Thai dishes and cooking methods. Order from its famous wooden menus, handcrafted in Thailand, and bring your vegan friends. This spot has an entire menu just for them. West of the Strip, between a hair salon and a gas station, you’ll find what looks like any brick and mortar bar; but it’s not. Off of Sahara Avenue and Valley Boulevard, the classic restaurant specializes in cocktails and steaks. Maybe you wouldn’t notice this place within the Chinatown strip mall, but the food speaks for itself. If you’re into the heat, the traditional Sichuan dishes are sure to be right up your alley. The José Andrés restaurant is more of a hideaway than a place to dine, with a private room for eating that fits no more than 10 and a thick, red-velvet curtain, making the food and presentation feel like a performance in itself. Inside The Palazzo, tucked back by the Grand Canal Shoppes, you’ll find this Peruvian restaurant. You can order dishes from chef Ricardo Zarate’s childhood, like Peruvian Fried Rice and Oxtail Bibimbap. The famous NYC food truck is hidden in The Forum Shops at Caesars’ food court. 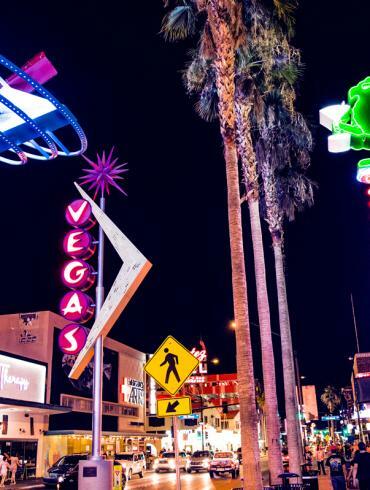 Just a short walk from Omnia nightclub, and perfect for a late-night bite.